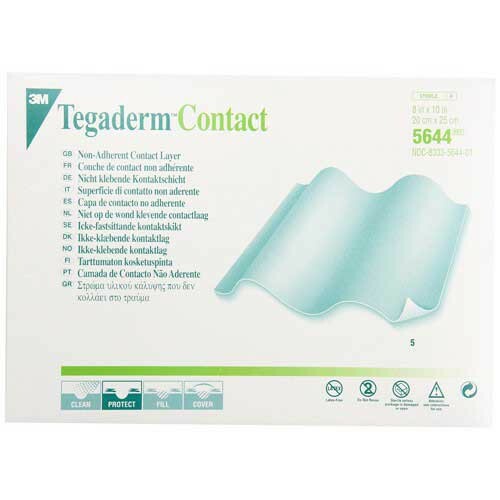 Tegaderm Contact Layer Non-Adherent Dressing is a comfortable and pain-free non-adherent dressing. 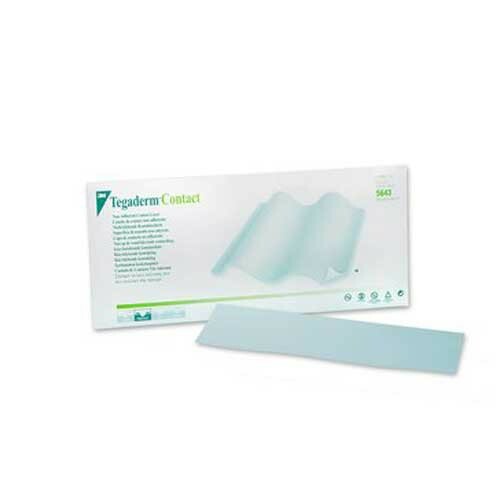 This non-irritating and hypoallergenic contact layer can easily be placed over the wound and under gauze or other absorbent medical dressing. 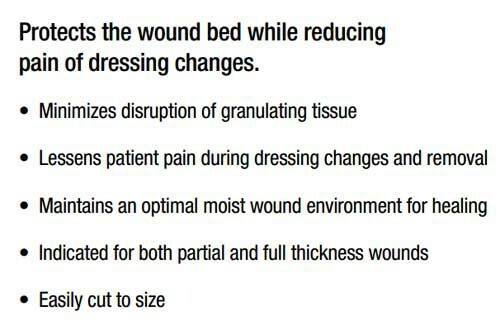 This dressing drastically minimizes disruption of granulating tissue while lessening patient pain during dressing changes. 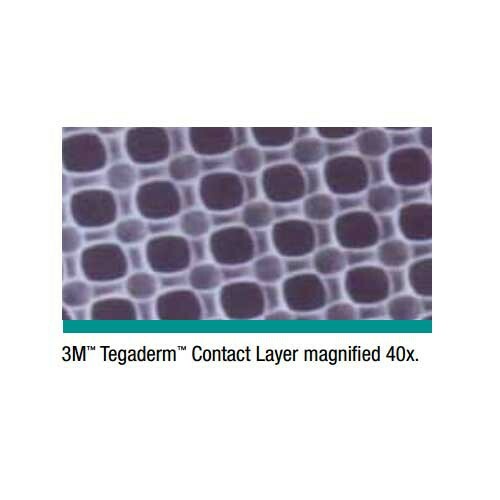 Tegaderm Non-Adherent Contact Layer Dressing maintains an optimal moist wound environment for healing. Indicated for both partial and full thickness wounds, this medical dressing can be easily cut to size for a personalized fit. 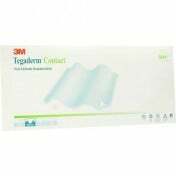 Other 3M Tegaderm dressings include the Tegaderm CHG IV Securement, Foam Adhesive Dressing, and Tegaderm Hydrocolloid. 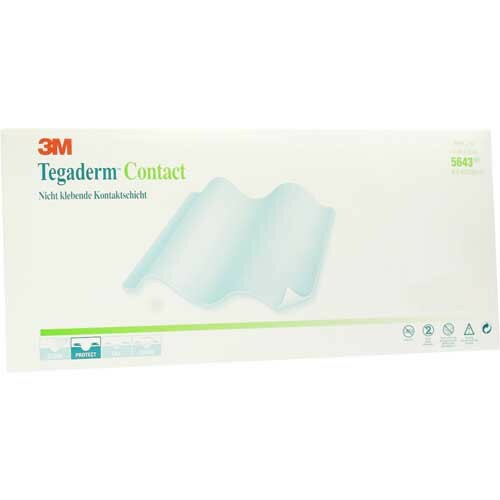 You may also be interested in similar non-adherent dressing products, such as Tegaderm Foam Non-adherent Dressing by 3M. 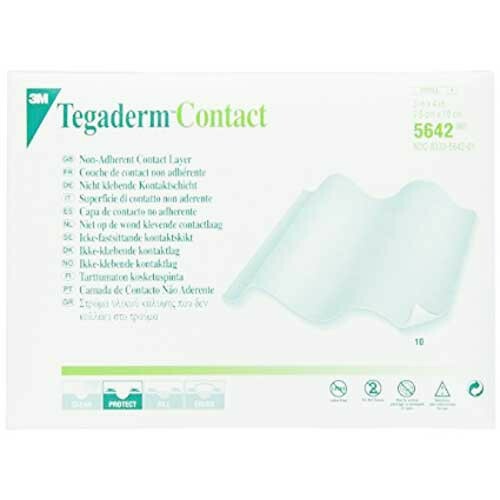 Non-irritating, non-adherent and hypoallergenic formula allow this layer to be directly placed over the wound or under gauze or additional medical dressings. Effectively minimizes disruption of granulating tissue while lessoning patient pain during dressing changes and removal. Maintains an optimal moist wound environment for healing and can be quickly cut to size for a personalized fit. Indicated for partial and full thickness wounds. Minimizes disruption of healthy granulation tissue and re-epithelialized surfaces. Product numbers: 5642, 5643, 5644. Flyer offers features and benefits. FAQ's answers commonly asked questions. Instructions for Use offers details about how to correctly use and care for the product. Application and removal. Prepare your wound bed and protect the periwound skin per your facility protocol. Select a dressing size allowing one half inch or one centimeter overlap beyond the wound edge. I have pre-cut this dressing to fit this wound size. Place your dressing over your wound bed. If there's undermining or tunneling present gently pack using a sterile cotton tip applicator. This dressing may be left in place for up to seven days.